We're always eating, and so we always have to replenish our food stock. The quantities, quality, and prices of food will vary depending on where you shop, and it can be a real pain to try to stay on top of your fridge and kitchen cupboard inventory, as well as working out exactly how much of any item you'll need for the future. However, if you're serious about cutting the cost of your regular grocery shopping, the solution is getting organised and planning in advance. As soon as you realise you're running low on an item you need regularly or need to buy something, add it to a list. Decide when you are going to go shopping and stick to the list when you go. Try not to buy items just because they are on sale, or because you have a craving when you see it. Keeping organised is key. 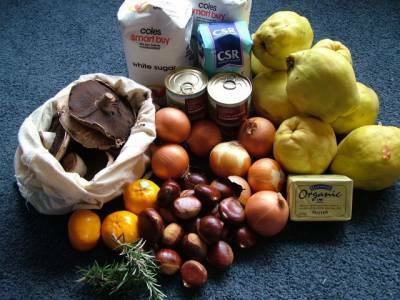 While you can save money by buying items on sale and making meals that incorporate your discounted ingredients, you may find you have to spend more on other ingredients to make these meals work, or you may find the item on sale is not the quantity you require, or will expire before you get a chance to eat it.Think about the purpose of every item you buy. Is it to use in a meal? What meal? When? Try to only buy items you plan to use in specific meals, and if it's an item that will spoil buy only as much as you need and no more. As well as items that you buy regularly, make sure your budget takes into account items with longer shelf lives that don't need to be regularly replaced like cooking oil or spices. If you have to buy a new bottle of sunflower oil, it shouldn't mean you have less money for bread and meat that month. Its worthwhile making distinctions in your shopping plan between required items and nice to have extras. That way if you're over-budget you know which items to drop first. It's fine to get yourself a bar of chocolate, a packet of biscuits, whatever it may be, but if you find something you'd like to buy on impulse at the shop, consider where it would sit in terms of importance against the rest of your list. If you really must have it, maybe there's another luxury item you could leave behind instead. You may find you're a little over budget one month and a little under budget the next. Don't worry too much about getting it exactly right, the important thing is that you're aware of your spending and thinking about saving money. If you get to the shop and find you could save money with an item on sale, make sure it fits your plan. Keep track of your spending on groceries and in the supermarket. If you're signed up to Money Dashboard's budgeting software, you'll be able to sort your transaction list to show only this spending so you can tell in a few clicks how much you normally spend on food, and whether you are over or under budget. If you want to take this even further, keep the receipts, and compare the purchases on days you spent more to days where you spent less so you can see which items really made the difference.It may seem like a lot of work to begin with, but once you get into the habit of planning and budgeting meals, it will become easier to stay on top of it, and you'll find more and more ways to save money a little at a time.